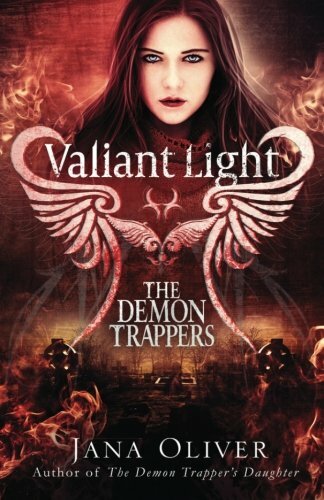 With her wedding fast approaching, as well as her fiancé's investiture as grand master, Master Demon Trapper Riley Blackthorne is just trying to keep Atlanta safe from Hellspawn. When she meets a high-level fiend who claims to be free of Lucifer's control, and allows him to remain at large, she knows there will be consequences. Denver Beck is facing two major events: taking his vows as a grand master and then as a husband. He's as nervous about committing his life to the fight against Darkness as he's excited to say, "I do". All his worries about the future are confirmed when a city is buried in brimstone, killing every single inhabitant. Was this Hell's doing, or is some other entity at work? It's Beck's job to find out. After more cities are destroyed, Riley is summoned to Rome to answer for her actions. If they want a future as man and wife, she and Beck will have to take a stand. But will they be strong enough to stop this new threat, a killer that even the angels fear? Beck has finally finished all his studies to become a Grand Master, all that's left now is the official ceremony and then he can return to Atlanta to help Riley with the final preparations for their wedding. Riley has been given official recognition as a Master Trapper and she's continuing her magic studies with both the witches and the necromancers alongside training her apprentices so for once in their lives things are going pretty smoothly for the couple. Of course nothing stays that way for too long in this world and when entire cities start being destroyed the Vatican call on Riley for help thanks to her unusual link to both heaven and hell. The church doesn't trust her but they're out of other options so it's up to Riley and Beck to try and figure out exactly what is going on and they need to do it fast if they don't want to put their wedding plans on hold. 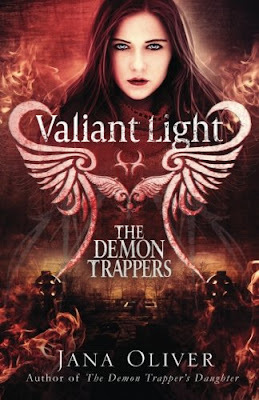 I've loved the Demon Trappers series since I read the first book back in 2011 so I've waited a long time for Riley and Beck to finally reach this point of their relationship. I've loved the journey they've taken and I really love that they're both such kickass characters who will do anything to protect each other. They both have their strengths and skills and working together they're a pretty unstoppable team, more importantly they can rely on each other to always have their backs. I'm sad that this series has reached the end but I've enjoyed every minute of the journey, it was great to catch up with some of the previous characters and see some surprising appearances of characters I thought we'd seen the last of. A lot of the side characters have gone through just as interesting journeys as Riley and Beck have so it was great to see some of them earn redemption along the way. It's always upsetting to leave a world after you've spent so much time in it but I'm looking forward to seeing what Jana Oliver comes up with next.